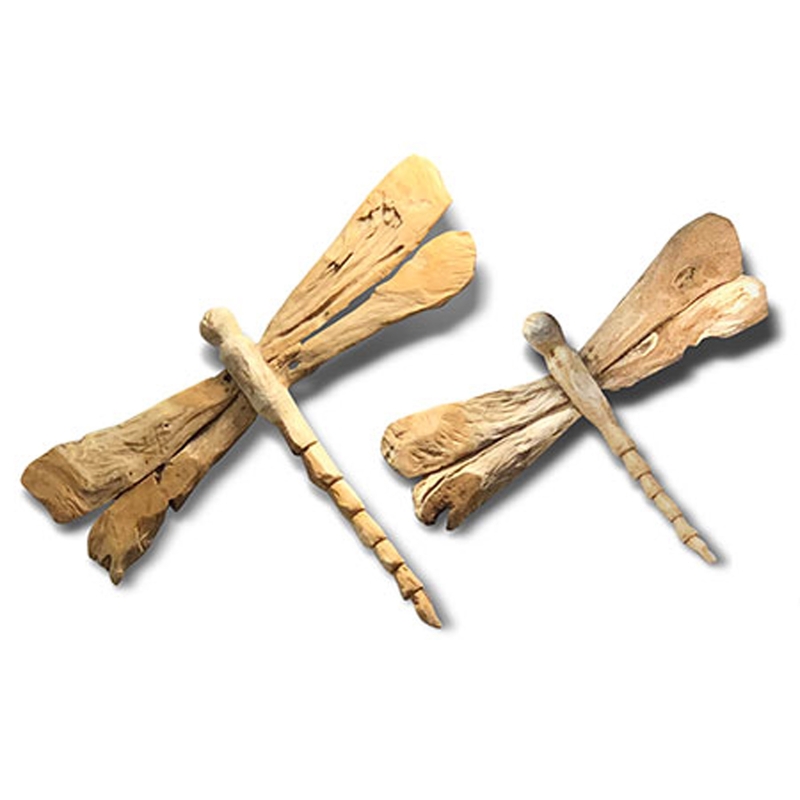 We are very proud to introduce the Modern Driftwood Dragonflies Wood Carving Set Of 2. This contemporary set of dragonfly ornaments has a stunning design that looks very eye-catching and distinctive. This piece is created from wooden materials which enhances the original and unique design.